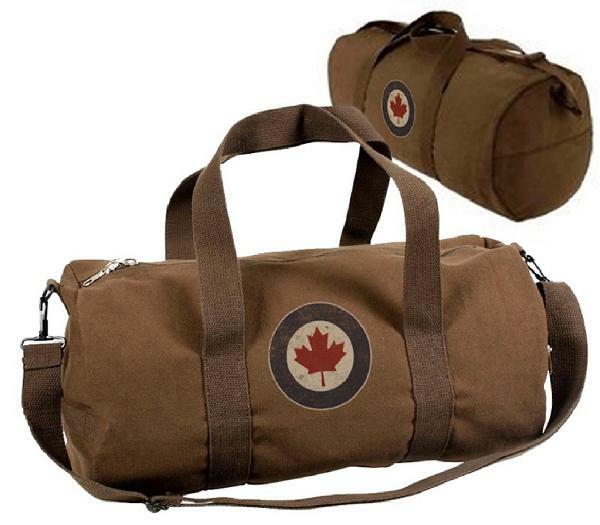 Gifts 22455 https://www.warplane.com/images/Products/RCAFCANVASBAG.jpg Heavyweight canvas roll bag with shoulder strap. Great for travel. RCAF Roundel imprinted on both sides. Dark brown. Description: Heavyweight canvas roll bag with shoulder strap. Great for travel. RCAF Roundel imprinted on both sides. Dark brown.